The new study, published in The Lancet medical journal, analyzed blood samples from 42 people who developed Guillain-Barre syndrome (GBS) during a Zika outbreak in French Polynesia in 2014. GBS causes the sufferer's immune system to attack their nerves and can eventually lead to paralysis and an inability to breathe properly. The exact cause of GBS is unknown, but 60% of those who developed it did so shortly after a viral or bacterial infection, Newsweek reported. The researchers found that the subjects of their study all developed GBS approximately six days after being infected with Zika. They also determined that there may be one case of GBS among every 4,000 people infected. Researchers were unable to find a molecular link that conclusively proved the Zika infection was prompting the onset of GBS, however. Zika is spread to humans largely through the bite of an Aedes species of mosquito, but it can also be sexually transmitted. Approximately 80% of those who become infected never show symptoms, but it can cause fever, rash, joint pain, red eyes, and mild illness. 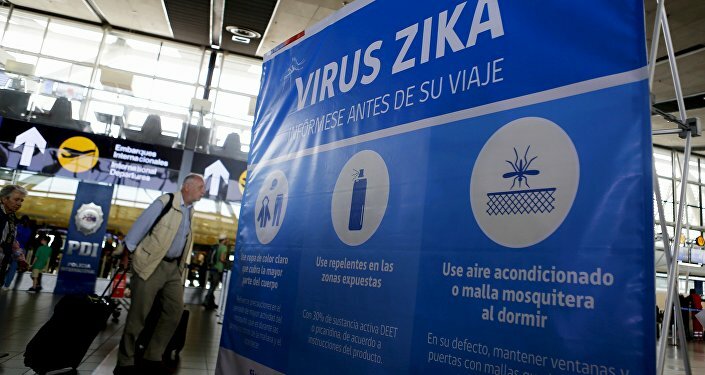 The US Centers for Disease Control and Prevention warns that prevention is the best approach to avoiding a Zika virus infection when travelling to countries that have been affected. To prevent mosquito bites, they recommend applying an insect repellent that contains DEET, and wearing long-sleeved shirts and long pants, and removing standing water where mosquitoes can live and breed.